In light of the outlawing of most forms of online and live gaming, a relatively new trend has popped up. Most commonly known as bar poker leagues, these are free to the public and most times host free tournament poker events. They have gained interest rapidly in the United States and most towns have some form of them. Like most of the common bar poker leagues, the Free Poker Experience is free to anyone interested in playing, with prizes being given out to the players who place the highest in sanctioned events. In the case currently under review prizes were to be awarded which are of great value to casual and competitive poker players alike. For example, the event in question was offering seats into larger tournament and/or $10,000 in cash. Since the payouts were of such high value, this caused state officials to take a closer look at the operations. The way the business model work is that establishments interested in being event hosts pay a fee to the larger hosting company. In exchange, the hosting company brings in clientele. The participating establishment would then make money through the sale of food and beverages making it a win-win proposition. The legal issue is the classic question of what does and does constitute a game of chance. Under strict interpretation of the law, participants are subject to be charged with having committed a misdemeanor while the bars may be putting their liquor licenses at stake. The ambiguity lies in the fact that these free events do not require entrants to pay to participate. Also, the fact that the events are free to enter is intended to protect all parties involved as they should not be seen as illegal in locales using the traditional “three prong” test to determine if an event is to be should be defined as gambling. This is the basis of the suit by Free Poker Experience. One of three prongs is the payment (or “consideration”) offered by the participant but by being free, these poker events have already been deemed as legal in other states where gambling is outlawed. 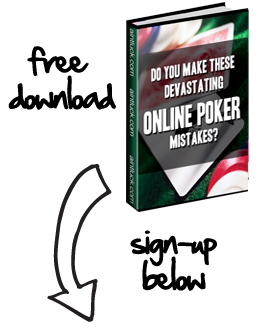 Is online poker legal in US?